Business focus for employee compensation. Do your employees have business focus? As a business leader, you are constantly challenged with navigating your business through obstacles and finding a path for success. It is necessary to measure business focus on both the immediate goals as well as the goals on the horizon. There are numerous resources that define good leadership (click for example) and offer recommendations for improvement (click for example), but shouldn’t you make sure that your business has what it takes today before you go forward? Is everyone in your organization just as focused and just as excited about the business as you are? The only thing constant about today’s marketplace is that it is changing and will continue to change. While everything in your business may have once functioned well, shouldn’t you check-in or validate that the members of your organization continue to be focused, motivated and on-message so they are delivering their best performance for you and the organization? Are you the business leader taking things for granted? Is business focus part of the value from the employee compensation plan? It is no longer a good use of the company’s valuable resources to simply reward employees with a salary or with a bonus based solely upon the company’s profitability. If your company is paying for payroll, it should be viewed as an exchange for measurable services received instead of an entry on the company’s expense sheet. As with anything, it takes an effort to get the best results. If your business simply pays out a base salary, there is not much effort in the measurement and calculations to compensate the employee. At the same time, there is little to no motivation for the employee to deliver their best performance since employees delivering a weak performance are getting paid through the same measurement as great employees. As for bonuses paid based upon profitability, there is a relatively tiny percentage of members of your company who have any direct influence on EBITDA or simple profitability. Everyone else is receiving an arbitrary bonus. What’s is wrong with an arbitrary bonus? Everything is wrong with it. It is an expense to your company, not an exchange for measurable services received. Does great work from every employee necessarily lead to a higher percentage of profitability on the bottom line? Of course, it can’t which is why profitability alone is a poor measurement choice. As for the actual payment or reward for performance in the form of a bonus, if your company is delaying the payout for 12 or more months, what employee will remember the great work they delivered 10 or 11 months earlier once they finally receive their bonus? Again, this bonus serves the employer as nothing more than an expense. The employer might as well just throw the money out of an open window. Are you measuring your company’s employee compensation? “Would you explain to me (the business leader) how you (the employee) are specifically paid your performance bonus?” The answer from the employee should include what they need to deliver in their performance in order to earn their bonus and when they can expect to be paid. Unless each employee can quickly and accurately respond, your business could be operating more effectively. Is everyone just as excited about the business as you are? Do they understand the business’s focus? Is your business focus aligned to solve your biggest challenge? Communication is a word commonly used by all organizations. I worked for a global company who coined their tagline as “Engineering the flow of communications”. In my experience, communications are challenging for organizations to effectively implement. For example, if the leadership has become lulled into believing that their corporate momentum is rolling along, then there is a lesser focus to drive the company message out to all members of the organization. If the members of your business are no longer aligned with their respective efforts, then the business will no longer receive the best performance and most effective performance from its workforce. 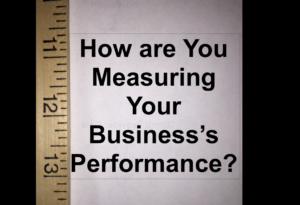 Are you measuring your company’s biggest challenge? Are both your employees and your business focused on solving the biggest challenge? Obviously, with good communications from the leadership along with good alignment, the employee responses should be consistent with each other and be accurate. If running a business were easy, everyone would be doing it with unlimited success. It is invaluable for the leaders of businesses to check-in and validates that things are running as well as you would like them too. – Are you confident that your employees are performing at their best, aligned with the business” focus and being measurably rewarded for it? – Are you confident that everyone in your organization is aligned with their individual role to address the company’s biggest challenge? – If you are not sure, the response may be a surprise but will only serve as the foundation to be a better leader and to improve your company. Need help aligning employee compensation with the company’s goals and business focus?